A Queensland coach operator has branched out after acquiring Brisbane’s Made Easy Tours. As well as operating a number of school runs in Queensland, Stonestreet’s is one of the largest transport providers to the oil, gas and mining industry in Australia and has been operating since 1983. Stonestreet’s Coaches managing director Phil Stonestreet says the move represents an expansion of their existing travel division and adds another feather to their cap. "The acquisition of Made Easy Tours will give Stonestreet’s a larger presence in the international travel industry and will enable us to provide more specialised services to both individuals and escorted groups," he says. "The addition of the curriculum-based travel products will be especially relevant to our existing school customers." Made Easy Tours conducts battlefield tours to Europe, international tours for schools and takes travellers to destinations such as Nepal, Croatia, India, Israel, Morocco, Spain, Turkey and Vietnam. The acquisition is part of the ongoing expansion of Stonestreet’s international travel division, a good pick-up for the company, which has more than 300 staff and a fleet of 250. 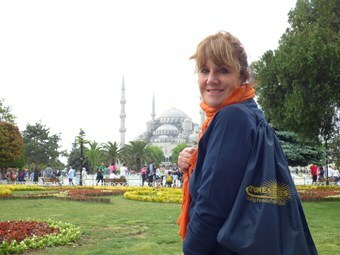 Stonestreet’s international tour consultant Sue McPherson has escorted tours for Made Easy Tours in the past and so is well-placed to assist in the process. Made Easy Tours will be integrated into Stonestreet’s existing travel division and will be fully supported by Stonestreet’s staff and local tour guides. The tours acquired will be branded as Made Easy Tours by Stonestreets, in order to maintain existing brand recognition Made Easy Tours has established within the travel industry over the last 20 years.